The Father Ted Package begins with a trip to the Falls river, where my lovely horse was filmed. Followed by a visit to the nearby Father Ted House & two other famous Father Ted locations. The group will then stop off for drinks & finger food at the famous "Chinese Pub". Here you will compete in the lovely girls competition where great craic will be had!! Tour only options also available. The group will be collected from your hotel reception by our private bus & tour guide, who will make sure the group are entertained throughout the day. There will also be spot prizes up for grabs along the way! 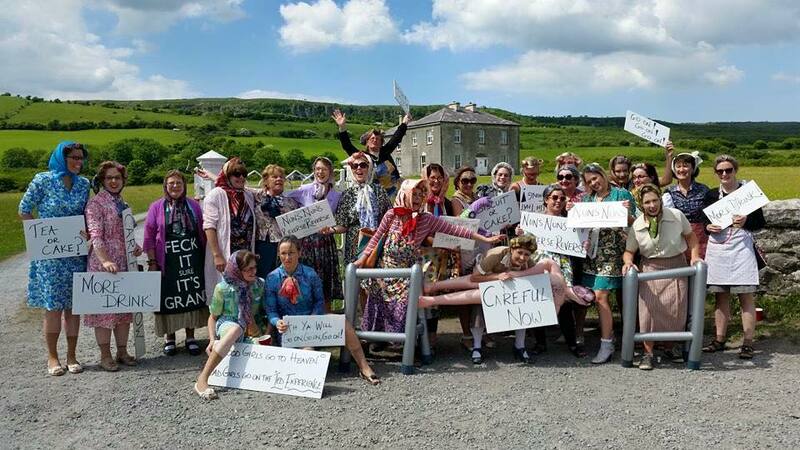 All you need to bring is your best Mrs Doyle outfit or lovely girls frock & a few signs!! "Careful Now" Down with that sort of thing"